The perfect blend of herbs and amino acids for an energy boost. UP! is the first ever supplement to synergistically boost energy and concentration. It combines amino acid and vegetable ingredients are in a precise formula to boost alertness and attentiveness prior to training and competition so you can perform at your peak level. 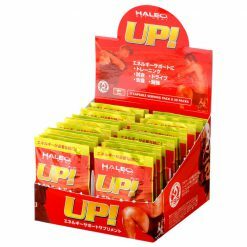 The difference between UP!, and typical energy drinks and coffee is the temporary increase in physical output. By pumping up both your mind and your body, UP! puts you in the zone. ※ The ” UP! 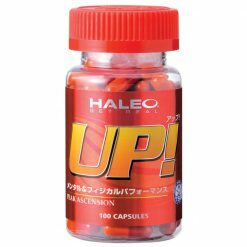 100 capsule” is currently unavailable. It will be back in stock again soon. We apologize for any inconvenience and thank you sincerely for your understanding. 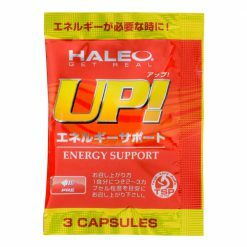 Take 2-3 capsules about 30 minutes in advance of exercise to provide a boost to your energy and alertness. 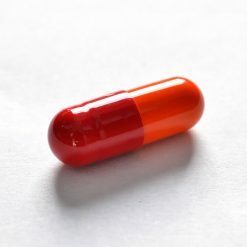 Initially take 2 capsules and adjust as needed.